Battlefield 3 couldn't do it and neither could Skyrim it seems, Call of Duty, two Call of Duty games actually, remain the most played games on Xbox Live for the week of Nov. 21. 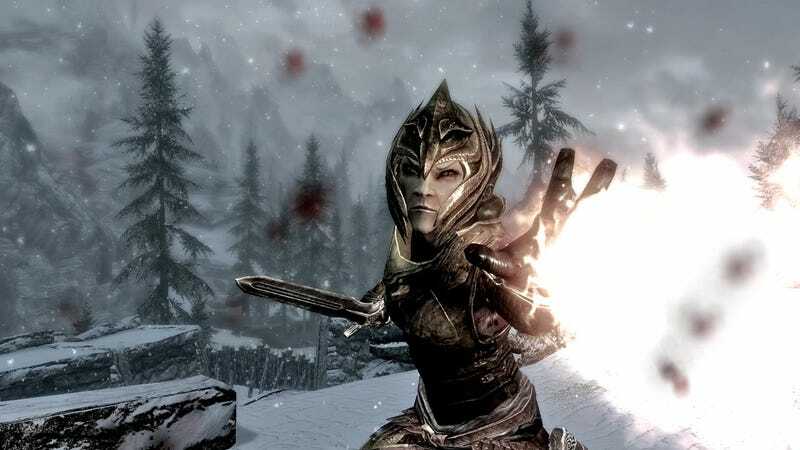 Yes, The Elder Scrolls V: Skyrim isn't even an online game, but Major Nelson's weekly list counts all games played on connected Xbox 360s. So the game itself doesn't have to be an online game, the player just needs to be logged in. That in mind, it's pretty impressive that single-player only Skyrim is in the number three spot, bumping Battlefield 3 from its purchase, but not touching Call of Duty: Modern Warfare 3 or Call of Duty: Black Ops from their one and two spots, respectively.